There’s nothing better than that new car feeling, and with the comprehensive range of car finance and insurance solutions offered by Toyota Finance and Insurance, you’ll be driving your new car out of Ryde Toyota quicker than you ever thought possible. Ryde Toyota has partnered with Toyota Finance and Insurance to provide a range of flexible products and services to suit almost every need and circumstance. So in addition to dealing with an experienced and accredited dealership at Ryde Toyota when you buy your next new or used Toyota, you can also enjoy the peace of mind knowing that you have access to finance and insurance from one of Australia's most experienced vehicle finance providers with over 30 years in operation. At Ryde Toyota our number one priority is customer satisfaction, and Toyota Finance and Insurance shares the same philosophy. And rest assured, the same expertise that goes into every Toyota vehicle is also behind the solutions offered by Toyota Finance and Insurance. Want that new car feeling? Let’s make it happen at Ryde Toyota. Talk to Ryde Toyota about a Consumer Fixed Rate Car Loan from Toyota Finance today. Talk to Ryde Toyota about Novated Leasing from Toyota Fleet Management today. Talk to Ryde Toyota about a Business Vehicle Loan from Toyota Finance today. With so many providers offering complicated policies, insurance can be a foggy issue. But now the choice is clear. Toyota Insurance is designed for your Toyota by the people who know it best. It just makes sense. And you know you can count on the quality and value you’ve come to expect as a Toyota owner. Talk to Ryde Toyota today about Toyota Insurance. Need more information talk to Ryde Toyota today. A simple, one-off payment can be included in the total amount being financed with Toyota Finance. There is no yearly premium, this one-off payment provides you with Finance Gap Insurance cover for the life of your vehicle’s finance contract. To arrange cover, simply talk to Ryde Toyota when you purchase your Toyota. Toyota Insurance Factory Approved Extended Warranty Insurance covers your Toyota vehicle for the repair or replacement of any component that’s defective in materials or workmanship, long after your new vehicle warranty has expired. Designed to provide your vehicle with protection that continues after your Dealer statutory warranty and Toyota new vehicle warranty cover end, you can get additional benefits such as towing, car hire, accommodation expenses and Toyota Insurance excess reimbursement. Factory Approved Extended Warranty insurance is exclusively available to Toyota vehicle owners, providing your Toyota is within its 36-month warranty period and has travelled less than 90,000km. It covers the repair or replacement of any Toyota component defective in materials or workmanship under normal operation and use. Plus, all repairs will be performed using only Toyota Genuine Parts. Any parts and accessories purchased will also be covered for the remaining period of cover. Talk to Ryde Toyota about choosing a 1, 2 or 3 year plan term, capped at either 100,000km or 150,000km, depending on your driving habits. At Ryde Toyota we’re committed to providing you with the highest levels of service and extra care, to ensure you have many years of enjoyable motoring. And you know that when you purchase Toyota Extra Care Road Side Assistance, you’ll be in good hands because, after all, nobody knows your Toyota better than we do. *2 Toyota Extra Care is administered by Toyota Finance, a division of Toyota Finance Australia Limited ABN 48 002 435 181, AFSL and Australian Credit Licence 392536. Toyota Extra Care Roadside Assist is provided by 365 Assistance Pty Ltd ABN 59160 076 200 trading as 365 Roadside Assistance, under arrangement with Toyota Finance Australia Limited. TEC002 07/2018. 1 Terms and conditions apply. This advice is general in nature and does not take into account your objectives, financial situation or needs. 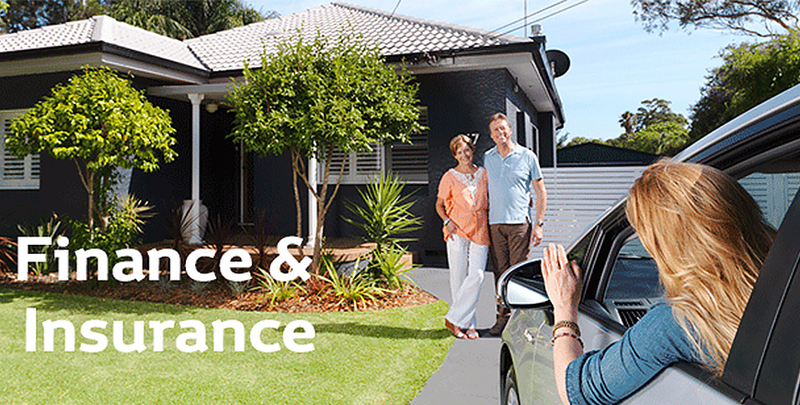 Before making a decision to purchase any of the insurance products you should consider the appropriateness of the advice taking into account your own objectives, financial situation and needs and refer to the current PDS for the relevant product available from participating Dealers, via our website at toyotainsurance.com.au or by calling 137 200. Toyota Insurance purchased in a dealership or via the Toyota Insurance National Customer Solutions Centre is issued by Toyota Finance Australia Limited (TFAL) ABN 48 002 435 181, AFSL and Australian credit licence 392536. The insurer is Aioi Nissay Dowa Insurance Company Australia Pty Ltd ABN 11 132 524 282, AFSL 443540 (Adica). If Toyota Insurance is purchased online, the issuer and insurer is Adica.